Today I am turning a new leaf an placing my WordPress Blog into hybernation. From now on all of my projects will be posted on my Stampin’ Up! Web Site. No doubt there will be some teething problems so please bear with me! Nothing will change except that I will no long be uploading any projects or current promotions to my old WordPress personal blog or at least that is the plan!!! For the past 12 months or so it has been a real struggle to keep up with both blogs, working & being a Mum, so the time has come to only have the one website. For the time being I will see how this all goes and of course if circumstances change I can always reinstate this WordPress Blog. I want to thank you all so much for the support on my WordPress blog since it’s inception and hope you still stop by my SU Web Site to see what I am up to. 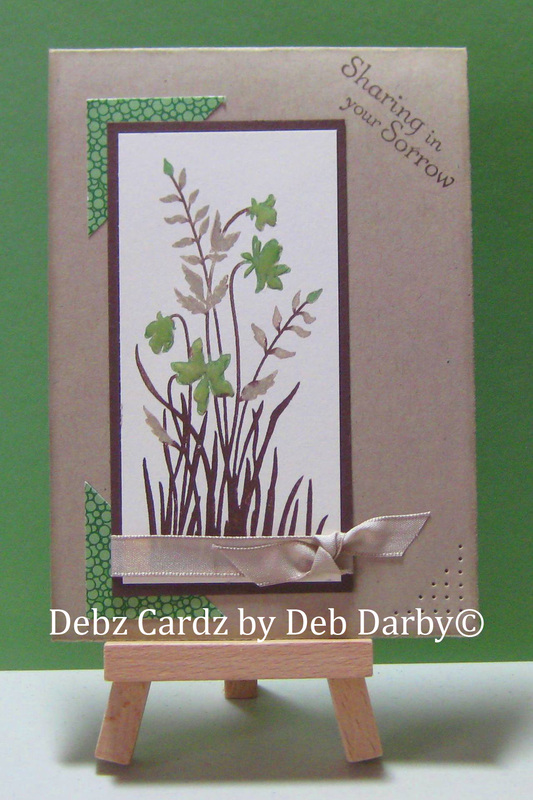 Please click HERE to be transferred to my Stampin’ Up! Web Site then click on My Stampin Blog to see all my projects or just click on the link on the right hand side of this page to be directed to my ‘My Stampin’ Up Website’. Exciting News for the month of September 2011 you can join the SU family with a Mini Kit for $169 (valued at 0ver $310) click here for all the details. Or if you prefer the full kit for only $231.20 (Over $610 worth of product & busines supplies) it too on special at 20% discount for September. If you were thinking of signing up now is the time with both of these bargains! Well it’s that time of year to farewell the retired and soon to say hello to the new. The Retired List will be updated daily but remember so you don’t miss out get your orders to me ASAP as once they are gone they are gone for good. Click here to see the retired list. Apologies for not being around the past few weeks. Unfortunately family life took over completely so the stamping went out the window! Anyways tonight I was able to sit down and have a play. So I decided to complete a challenge and a Christmas card as I am very concious this special time of year is approaching very fast. Here is this weeks Inkspirations Sketch Challenge #79 make sure you check out the other enteries. Wow, I can’t believe we are into July already! 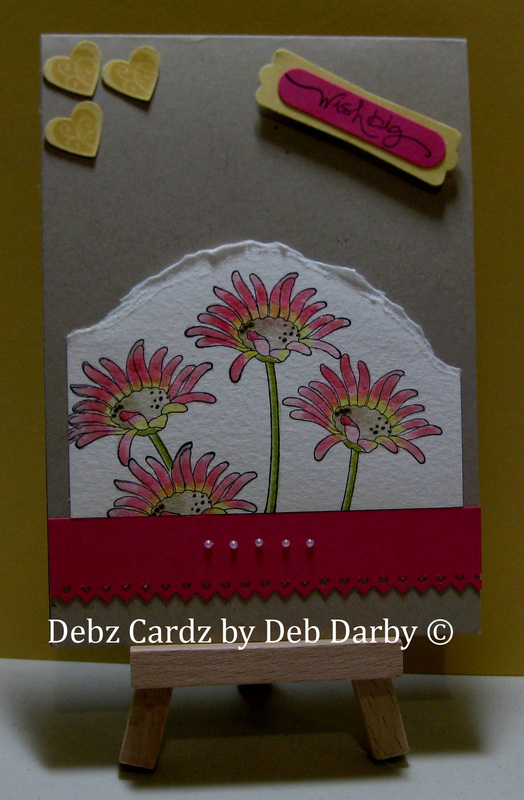 And another Wow for the Stampin’ Up! promotion for this month the “Gift with Purchase”. Place an order for $100 (1-31 July) and you will receive a FREE exclusive accessories bundle of ribbon and buttons valued at $31.95. • White 1/4″ grosgrain ribbon with repeating flower designs. Approx 13.7m. Aren’t they just the cutest? I can’t wait to get my order in and earn these for free! I had forgotten how quickly the end of month is approaching and I was still to post the second challenge I had made for Elite Challenges this month. This one is a sketch challenge and is from page 7 of the Autumn-Winter Mini. Make sure you stop by and check out the other enteries as the girls really do inspire. So proud of myself for fitting in a few challenges this month. 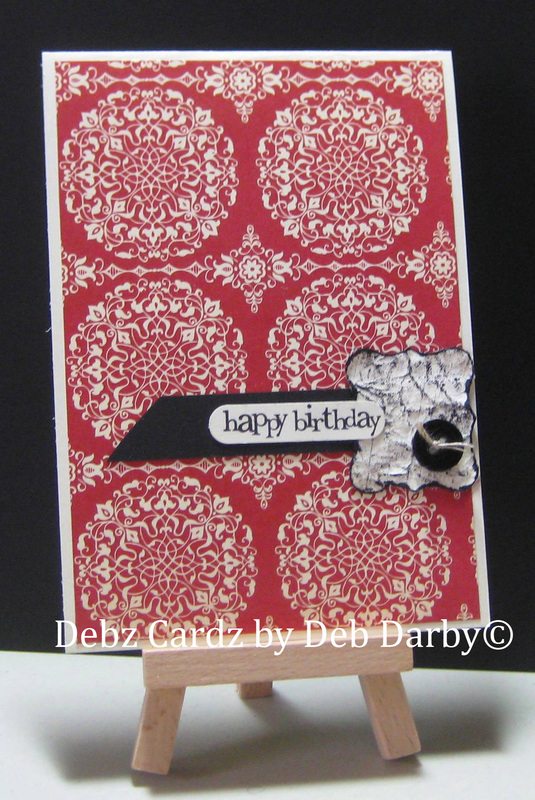 Todays card was for Inkspirations Colour Challenge #74 and I have to say I love, love this colour combo! I decided this was a fantastic colour combo for a christmas card and that there was no time like the present to make a start on these for the festive season. Woo hoo I am really on a roll with these advance cards LOL! I daubered shimmer paint on the edges of the card stock and central bauble image and scored on the bottom hald of the card, sorry if the photo is not picking up that detail. And look at that Pom Pom Trim isn’t is sooo cute? This card has been on my desk since the begining of the month when Carol Dunstan posted the Elite Challenges. It’s definitely time to post the photo otherwise the month will be over. Guess what, Angela Sargeant must have been thinking on the same line as me, she too has used this great stamp set Just Believe. Make sure you pop back as I have completed two Elite Challenge this month and will be posting the second card soon. Gosh it has been sometime since I had the chance to play along with an Inkspirations Challenge. This weeks was a great sketch so I decided to have a play and at the same time get ahead with another one of those birthday cards. Make sure you check out the other entries for this week. Today my gorgeous daughter Stacey is celebrating her Birthday. Unfortunately I didn’t think we would get to see her on the da,y so I made sure her card was posted in plenty of time along with a small gift from her brother. Finger crossed as it’s over to Aussie Post now! Stacey had a bit of a wish list so I deposited some money into her account so she could at least cross some of the items off. My Mum has always called Stacey “Daisy” so I thought the Every Moment Daisy stamp fitted the bill exactly for her Birthday card this year. Isn’t the card super cute? 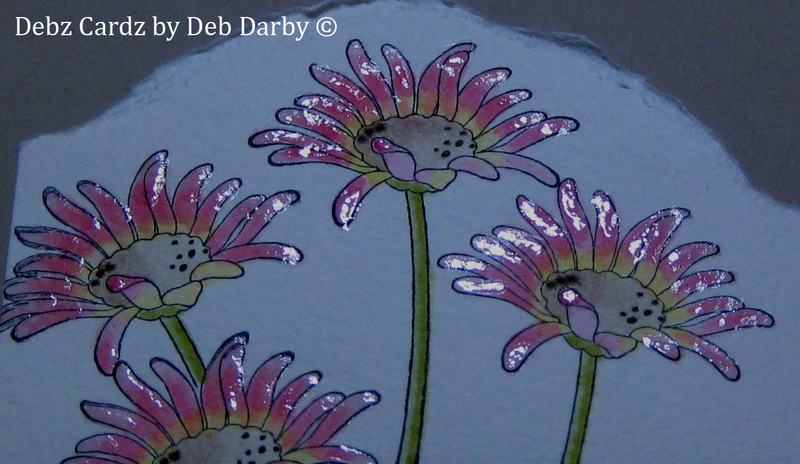 I thought I would take a close up of the daisies for you, with a little Crystal Effects they look like the sun is making the early morning dew sparkle. Well that’s what I think! As you know, I mentioned in a post earlier in the year that I was going to be super organised and have every months birthday cards made in advance. Well guess what? I am on a roll and so far have stuck to that plan. I am feeling a bit proud of myself, can you tell?